Equestria Daily - MLP Stuff! : My Little Pony: Friendship is Magic Season 8 Will Premiere March 24! 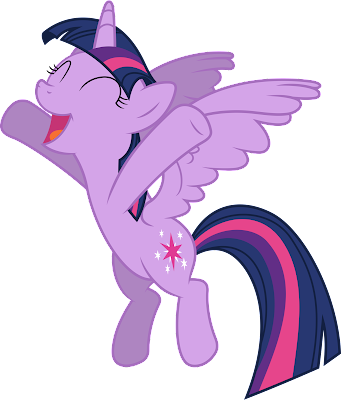 My Little Pony: Friendship is Magic Season 8 Will Premiere March 24! Discovery Family released their highlights for March, and among these was a nice tidbit of information: Season 8 will premiere on March 24, 2018! Only a month and a half of hiatus left! Find the full press release below the break! ( Mia mi, FL ) – Calling everypony (and creature) in Equestria Twilight Sparkle’s School of Friendship is in session! On Saturday, March 24 at 11:30a/10:30c , Discovery Family premieres the eighth season of MY LITTLE PONY: FRIENDSHIP IS MAGIC with 26 half hour episodes complete with seven original songs, new characters and tons of friendship! New episodes of the Hasbro Studios’ produced animated series will also stream live and on demand on Discovery Family GO, the network’s TV Everywhere app. Following the events of “My Little Pony: The Movie,” in the back - to - back season premiere episodes titled “School Daze Part 1” and “School Daze Part 2,” the Mane 6 discovers that the Friendship Map has expanded to show the world outside Equestria. Through two exciting original songs, Twilight Sparkle learns that friendship needs to spread beyond the limits of the kingdom and decides to open her very own School of Friendship. But things come to a head when the new non - pony students ditch c lass on Friends and Family day, putting the entire school in jeopardy! This season, viewers will witness major milestones featuring the introduction of Starlight Glimmer’s parents and Princess Celestia's big acting debut . Additionally, the Mane 6’s Twilight Sparkle, Rarity, Applejack, Pinkie Pie, Rainbow Dash and Fluttershy are accompanied by six new creatures including Ocellus the Changeling , Silverstream the Hippogriff/Seapony , Smolder the Dragon, Gallus the Griffin , Yona the Yak and Sand bar the Pony , joining them on epic adventures throughout new and familiar lands such as Mount Aris, Everfree Forest , Las Pegasus and more . Fan - favorite characters Maud Pie , Spike, the Cutie Mark Crusaders, Queen Chrysalis and Discord return with exciting storylines and a whole lot of magic!